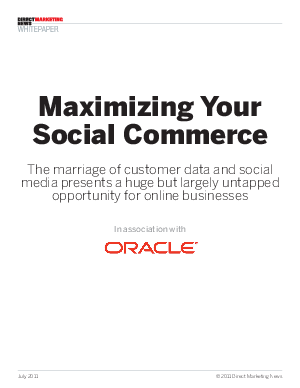 Combining customer data and social media presents an enormous but largely untapped opportunity for merchants. A few early adopters have succeeded in going beyond a passive "monitoring the conversations" exercise or placing a storefront on Facebook by pairing customer data from social media channels with their existing CRM, Web analytics, merchandising and e-commerce systems. Industry observers contend that this shift, which some have called "social CRM" or "sCRM," represents the next great wave in online commerce.